Special set of "The Universe and Art" original goods in limited number will be on sale from January 1, 2017! 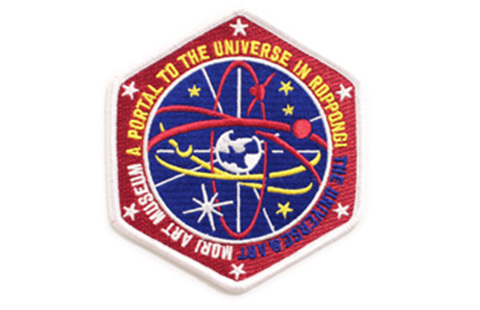 Don't miss your chance to buy one when you visit the museum! * Please note that number of sets are limited. 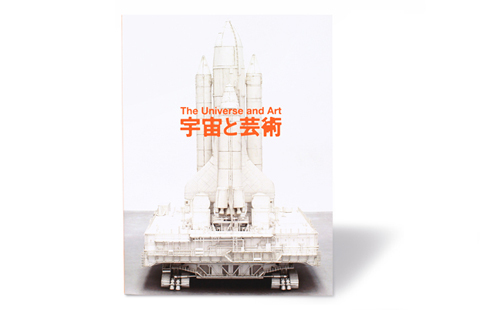 Tom Sachs- autographed exhibition catalogue on sale from December 23! 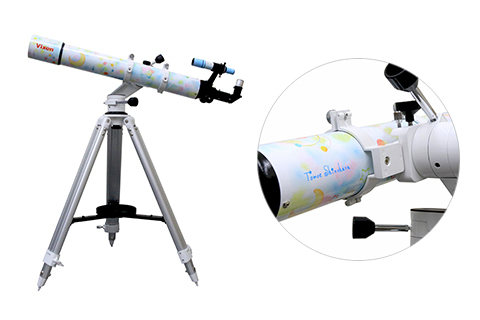 * Please note that number of autographed catalogue is limited. 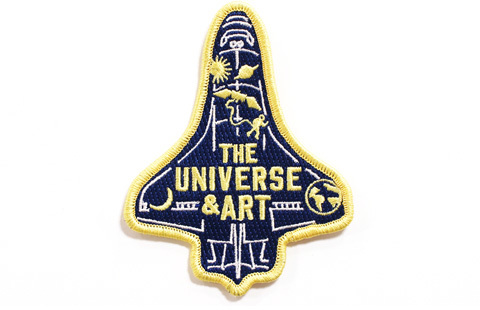 “The Universe and Art” catalogue contains absorbing essays by a first-class lineup of writers. 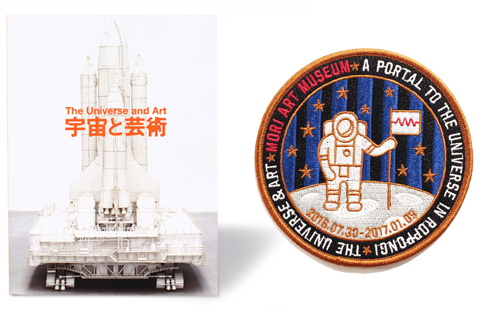 This fascinating catalogue, containing commentaries on all the works on show, comes with “an Official Mission Emblem” designed exclusively for the exhibition. Supplies are limited, so be in quick! 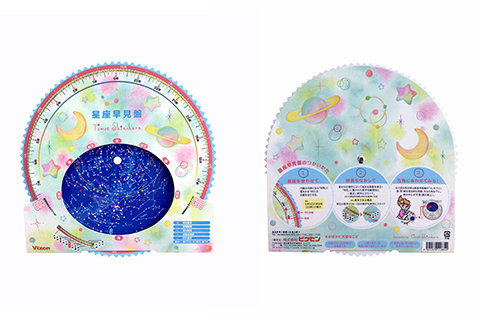 This handy pastel Japanese star chart – a collaboration between Shinohara Tomoe and optics manufacturer Vixen – makes identifying star constellations and clusters even more fun. See here for comment from Shinohara Tomoe. 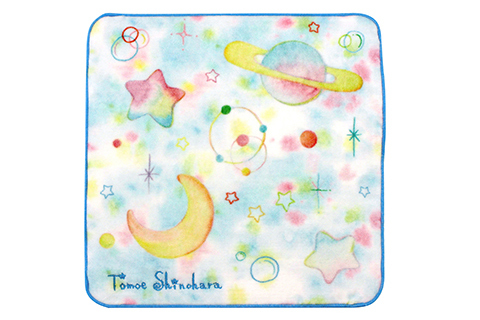 This little towel designed by Shinohara Tomoe makes a handy companion on any star-watching expedition. Embroidered with a pattern exclusive to the designer. 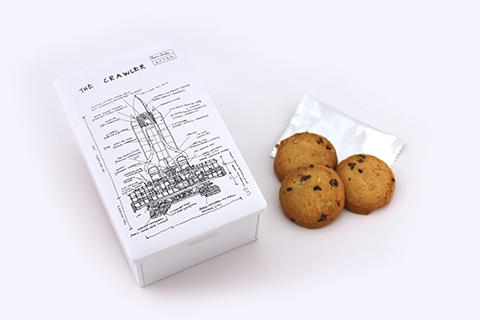 10 Chocolate chip cookies into the white can container that has Tom Sachs’ drawing on it. You can keep and use the can as you like! "Utsurobune no Banjo" portrays an incident where an attractive young woman arrived on a local beach in Hitachi Province (Now Ibaraki Prefecture) aboard the UFO-like "Utsurobune." 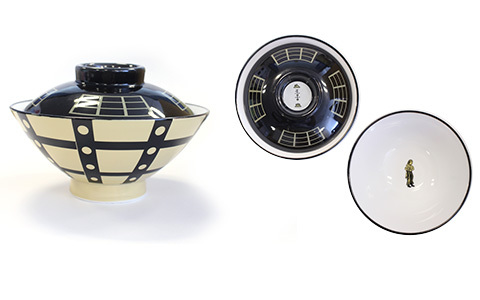 Rice bowl designed with the motif of this "Utsurobune." 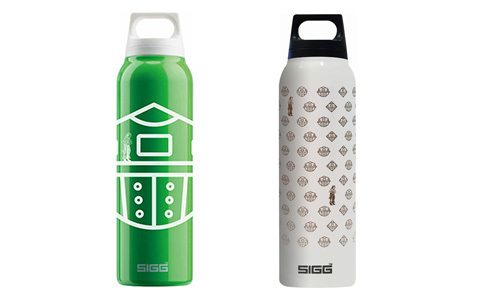 Thermo bottle with the design of "Utsurobune" which has also been a topic among UFO fans. Take it with you when you go out. 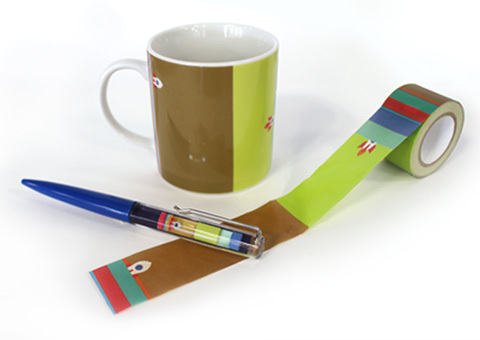 We’ve all seen national flag emblems and project-titled emblems decorating the astronauts’ space suits. Exhibition-original, large-sized (10 cm in diameter) emblem is available for sale. 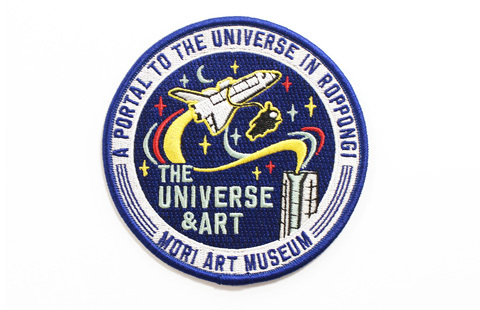 Exhibition-original emblem in shape of space shuttle, perfect to decorate your shirts or bags. Exhibition-original "Mission Emblem" with the motif of armillary sphere. Flag emblems and project-titled emblems decorating the astronauts’ space suits are items very popular among the collectors! 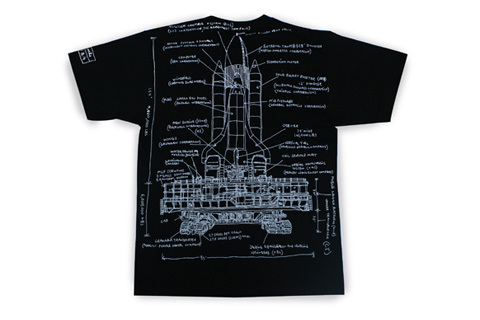 T-Shirts with the drawing of Tom Sachs. Patricia Piccinini's The Rookie, new life form that speaks to us with a peculiar gaze is designed on T-Shirts. 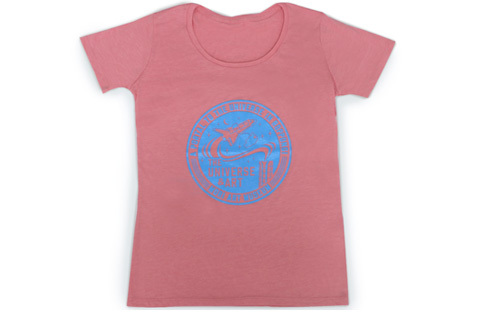 T-Shirts using the design of the "Mission Emblem." Goods of artwork by world-renowned iIllustrator, Sorayama Hajime. More goods such as Glass (1,944 yen), Floating Pen (1,080 yen * for sale after mid-September). et al. Relative size of each planet shown in different colors. Recommended for kids! 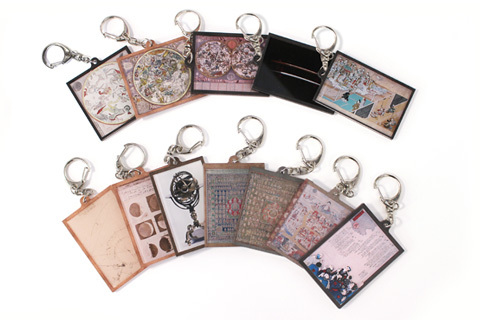 Acrylic keychains of 12 selected artworks of the exhibition. 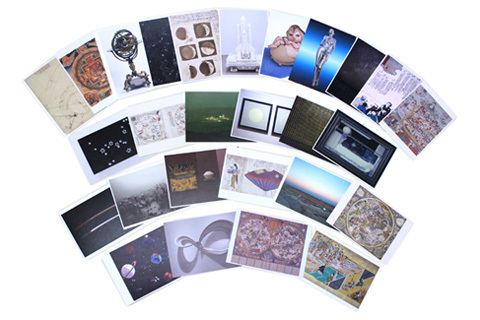 Postcards of 30 items selected from the exhibits. 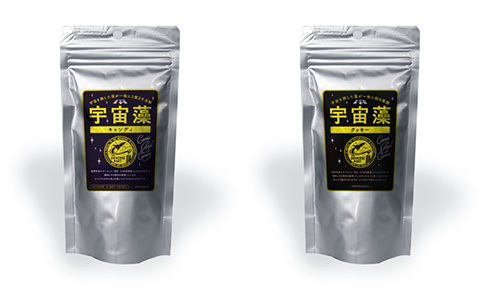 Cookies and candies made from "Nostoc commune" which was grown in the ISS for 10 days. 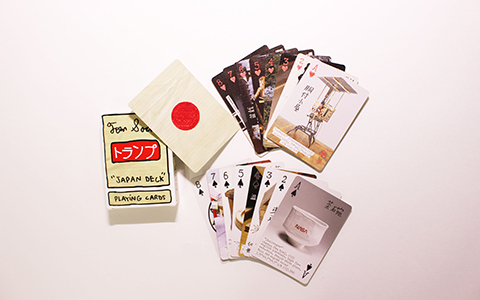 Exceptional item with the design of Tom Sachs' artworks.